Working with the exported xml file is a safe way of processing information held in the wordpress database, but not necessarily convenient. It’s certainly no use for displaying a report to a user online, nor any use for getting information from a user and then have the computer perform a task and report a solution. Now if want an interactive environment for visitors, could throw wordpress aside and build an application from scratch. However chances are that such website would still require an informative blog, for which purpose wordpress would be useful and therefore, given that wordpress is there may has well get the most from it. To start with the wordpress database is not in the same place as the website, and the database is password protected. So certainly don’t want to be writing a php application which makes the password visible to the world. Hopefully wordpress as already figured out how to secure the files and folders which may directly access the database, so we, I don’t have to worry too much about such things. So instead of interacting with the database directly using php, I will interact with the database indirectly using wordpress functions. It is not necessary to run WAMP to work on simple html and css files, these files can be edited and run in a browser working on a normal desktop environment. WAMP or similar is required to run php scripts, and since wordpress is written in php WAMP is also required to run wordpress locally on a desktop. Scripts written in php can be run from the Windows command line or from the browser. Running from the command line avoids the need to start WAMP. Having got the environment set up, can then start to experiment. The starting experiments come from the trials presented in Jacob’s book mentioned in part 1. Jacob’s presented the trials as a series of steps, as part of an ongoing exercise to build a simple theme. I set up each progressive trial as a separate experimental theme. So to work with wordpress need to be in the wp-content/themes folder. The following is an example of themes folder with several themes installed. The current exercise involves themes Experiment00 to Experiment20: a rapid run through of project 1 in Jacobs book, using the files I created working through the book, with some extension exercises/experiments. The first exercise is to just create an empty folder Experiment00, then go to the wordpress admin, appearance themes and see what is reported. It should report that there is a broken theme due to the stylesheet being missing. The error goes away and the theme is shown in the theme list, with a blank screen shot. The theme can be activated, and if visit the site, will just get a blank page, because the blank theme files don’t provide anything to do. For experiment01. 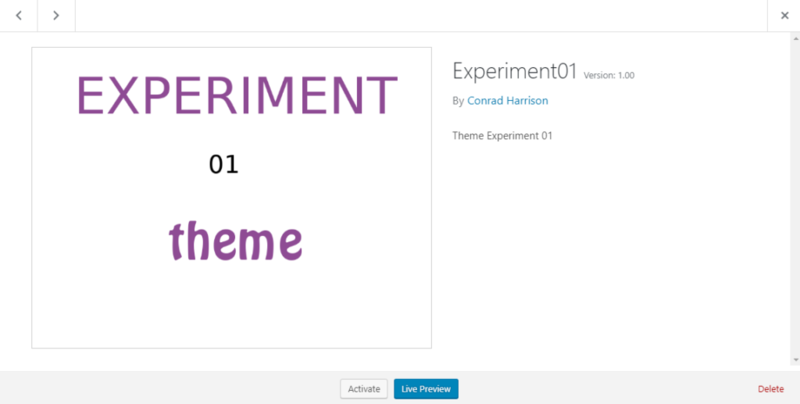 Create a new theme folder Experiment01, add the necessary information to style.css to provide a description about the theme, and also add a indicative screenshot, but leaving index.php blank. The theme can be activated, but once again if visit the site, it is blank. 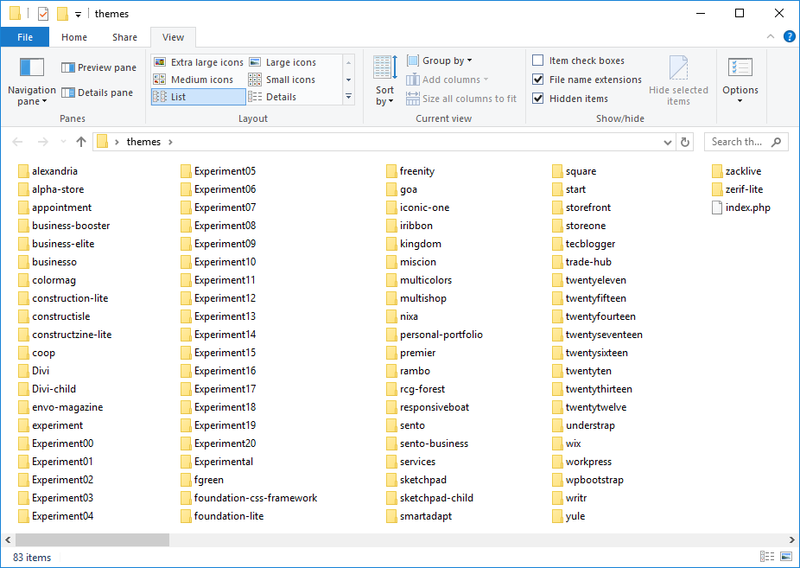 Create a new theme folder Experiment02. Once again create or copy the three basic files. This time add phrase Experiment 02 to the index.php file. Activate the theme and visit the site. Instead of a blank screen should display the phrase “Experiment 02”. We would get the same result if we typed the path to the file directly into the browser. Similarly if I copy the file to a new file: junk.php, and then type its path directly into the browser. If I type the path to the folder only, then I get a list of files: index doesn’t automatically run. So wordpress not currently relevant to the exercise. Any way, if we know the file name and can access the folder then can execute the script. I believe that index.php, is special and should autorun if its present in the folder. The thing I just did wrong was provide the Windows system filepath, not the WAMP path. 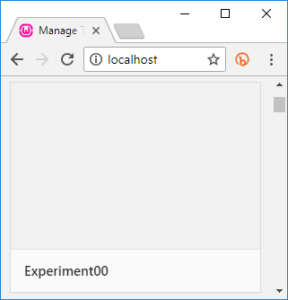 Adjusting path to localhost/simple, then index.php does run without need to provide its name. Similarly if reference the wordpress themes folder, then index.php runs. Create Experiment03 theme folder. Copy files from previous theme over to current theme and modify. This part of the exercise the index.php file is extended with some html, and calls to the wordpress database using the wordpress function bloginfo(), some simple css rules added to style.css. Once again activate the theme and visit the site, and see what happens. Jacobs takes two steps at this point. The first to illustrate that the stylesheet isn’t being read, then step 2, to show how to include the stylesheet. If the stylesheet is included, which it is in the download, then get a black screen: and no information. But try another test. Not interested in the html, so rip all that out, and just have plain php, call it test03.php. If I call this file then I get an error: ( ! ) Fatal error: Call to undefined function bloginfo(). So definitely need to be visiting the site via wordpress, so that it has the definition of the function. But do I need html? Yes and No! Since the php echo and print statements do not output linefeeds to the browser window, the text isn’t so easy to read. Create Experiment04 theme folder. This introduces the wordpress loop, checking for posts, and identifying whether any posts available or not. Create Experiment05 theme folder. Now start to display a listing of posts or a single page: depending on how the website is setup. Create Experiment06 theme folder. Here there is no change to the data or the appearance, the theme is now however split into additional files. For which index.php is still the driver. Each of these files can be typed into the browser address bar to see what happens. Similarly can copy these files so the simple website, and see what happens if they are called. Note that the html in these files spans across the files, html tags are opened in the header.php and closed in footer.php. If mixing html and php isn’t a big enough mess, spanning a single html page across multiple files can get confusing quickly. The typical recommended work process is to start with a single index.php file and then break it up into multiple files. 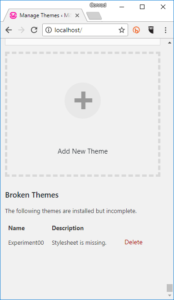 However if trying to develop a child theme, then the parent theme is already a divided confusing mess: and may need to try and put it back together as a single file. None of which has required a need to use SQL or directly reference the database. Create Experiment08 theme folder. 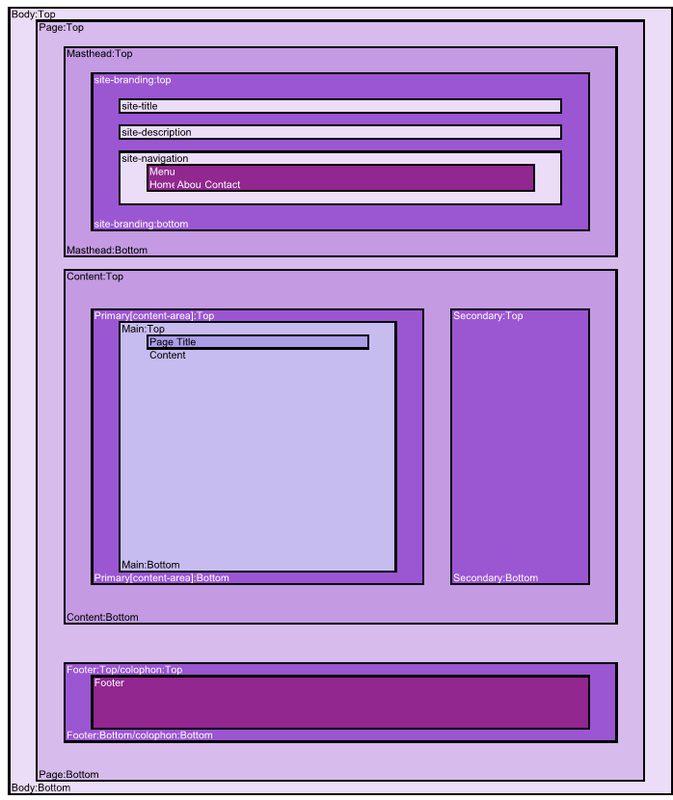 Navigation menus added to the theme, and new template added for pages. Create Experiment09 theme folder. Widgets are added to the theme. This is the end of project 1, as given in Jacobs book: if buy the book then can also download the source files for each project. Here is my variation of project 1, mainly I have the widgets shown in different places: and I have the container and main classes nested the opposite way round. or at least that’s where I left it. This is for project 3: which uses W3.css. Projects 2,3,4,5 I didn’t create any staged experiments. Moves onto the book by McCollin and Silver, this uses layout-core.css. Its at this point that it becomes apparent that wordpress is not needed in the initial stages. Start with html and map out the different pages, then apply style rules. Continues with McCollin and Silver’s book. At this stage not done any experiments with McCollins book, rather than work through the book, I just copied the source files into the themes. Where on experienced problems with the menu hiding everything. When shrink the screen the navigation menu shrinks, and then shrink the screen a bit more, and the menu expands back out again. 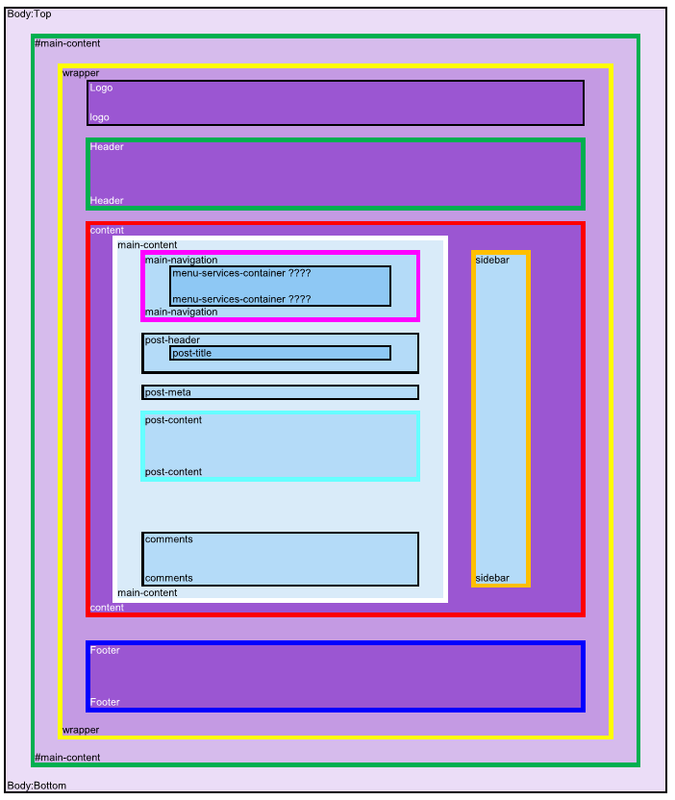 So something seems to be wrong with layout-core.css: probably needs updating or the media query logic needs revising. Uses WP Bootstrap Starter theme. Uses sketchpad as a starter theme, not so that I can create a new parent theme derived from sketchpad, but so that I can create a child theme. It is easier to modify the parent files, then use “beyond compare”, to compare files and cut down into a child theme. This doesn’t have any number, it is a starter theme generated and named using underscores. 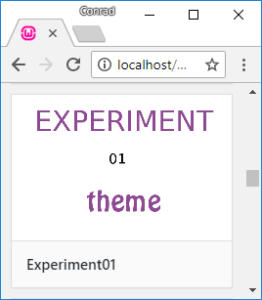 Is another experiment and tutorial using bootstrap. The tutorial being available on team treehouse: How to Build a Responsive WordPress Theme with Bootstrap. With this I had problems with bootstrap. So hitting problems with bootstrap. I went and looked at w3schools.com tutorial on bootstrap. I didn’t have problems if I used their code. But if I attempted to work offline using locally installed version of bootstrap I encountered problems. Messed around with different versions of bootstrap, eventually got it to work. Various problems, such as wrong paths, lack of jquery.js, missing fonts, possibly differences in class names. So working with starter themes and css frameworks, provides benefits on one hand and an inconvenience on the other. I attempted to match the style file created working through Jacob’s book by comparing with the style file from the underscores theme, and rearranging. and in similar manner determined the basic layout for sketchpad: though it is actually more complicated as the sidebar overlaps the main content box, and it otherwise includes images to create the appearance of a spiral bound book. In short my attempts to modify the theme using a child theme just produces a mess. With experiment 10 above, I moved forward and developed a static home page, showing posts from the blog and products from the web store (woocommerce ). Getting information from the wordpress database doesn’t seem to be overly complicated. Therefore whilst developing the appearance of the theme, wordpress and php can be kept out of the way. Having boxes within boxes, within boxes seems problematic for a responsive theme. Also getting boxes to be a consistent size seems problematic. The size of the navigation menu seems a mystery. All of which tends to suggest using a css framework like bootstrap: the authors have hopefully solved some of the issues. But if using bootstrap then maybe don’t care about the classes assigned in the underscores theme: just ignore them and replace with bootstrap classes, or combine with bootstrap. Any case I back tracked through experiments 01 to 09 and placed them in the simple website as ordinary html files, removing all the php. Additionally aligning the style.css file as best I could with underscores stylesheet. So basically can see what is missing and otherwise different. NB: The Styling applied is purely concerned with identifying the nested boxes. From here instead of creating the php files as listed in Experiment10 above, can start by creating html equivalents instead. The wordpress functions listed in Experiment07 above can be written in the html files as simple text reference markers: so that know that is where the data will come from when eventually convert to php. But first work with html and css to get the appearance right. So from here I will merge experiments 9 and 10 into underscores. Once I’ve done that, I will merge the result into WP Bootstrap starter theme. Additionally learn more about data which can be put into and extracted from the wordpress database using wordpress functions. For which purpose need a theme which is compatible with forms (input) and reports (output).